These lenses have now been discontinued by the manufacturer. 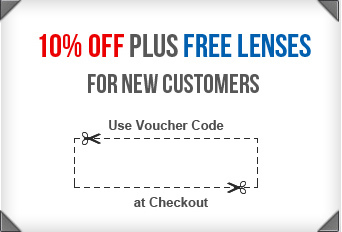 We advise all customers wearing these lenses to visit their Eye Care Professional to discuss alternate lens options. 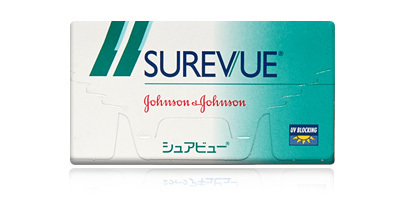 Produced by household name Johnson & Johnson, Surevue monthly disposable contact lenses supply superior clarity of vision and support eye health through continuous hydration, UVA and UVB protection. If you want a durable, high quality yet affordable lens that performs well on all levels, this is an excellent place to start. 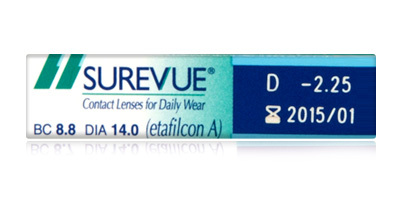 Johnson & Johnson Surevue lenses have a high water content, which gives better oxygenation and breathability. More water and a particularly soft and porous polymer material allows higher amounts of oxygen than usual to travel through the lens and reach the eye more efficiently. Eyes can breathe better and as a result, stay moist, clear and bright, even after 12 hours of continuous wear. Surevue lenses live up to their name by providing the wearer with consistent sharp focus. A light blue tint makes these monthly disposables easy to see in their blister pack, immersed in solution and on the tip of your finger. Application and removal is simple and fast. These really reasonably priced lenses are particularly suited to younger first time wearers (subject to your Opticians advice) and those who like to spend as much time as possible in the sun. 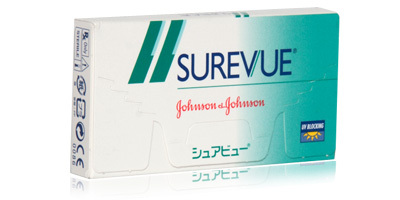 Each box of Johnson & Johnson Surevue monthly disposables contains six lenses. Choose from three base curves and two diameters for a fit that best suits your eyes and prescription requirements. Do you have any questions about Surevue or any of the products featured on lensite.co.uk? Call the team on 0330 088 3133 for advice and assistance. We offer an express delivery service and ship 98% of products on the same day.